Okay, so for probably about the last two or three years, I have been constantly looking for some sort of home design software or application. About a year ago, I found the Autodesk Homestyler website. It was really cool, but it was pretty difficult to use, especially on the small Chromebook that I had at the time. I made one design with it, and then never used it again. A couple of months later, I was bored, so I did what every aspiring interior designer does: googled “free interior design software.” After filtering through a few pages, I found the winner. The Autodesk Homestyler IOS application. I immediately grabbed out “family” iPad and found it in the app store. 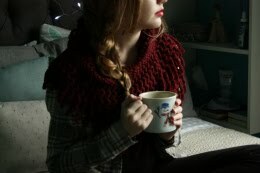 What I found was perfect! And get this… It was absolutely free! Not even $0.99, but $0.00! I downloaded it, and proceeded to spend about three hours on it until the power ran out on the iPad. Since them, I have designed 19 spaces, and am currently in the middle of designing the 20th space! Non-Toxic Paint and Sherwin-William, as well as wallpaper from O & L, Cole & Son, Koroseal, and Sherwin-Williams. You can even paint ceilings! -Floor Options: You can choose the flooring with options from Shaw and Mirage that include tile, hardwood, and bamboo. -The design can be viewed in “Real Scale,” and the furniture size can be “locked” to keep it real scale. -Trends: There is a Trends page that shows all of the design trends of the current year, including the 2014 feature color: Radiant Orchid. In the catalog, there is a special trends page as well. -The Catalog: The rest of the catalog is divided into 20 different sections, each with up to 16 subsections. -Special Building Features: You can build interior and exterior doors, windows, door hardware, wall moldings, columns, wall sections, and even skylights. In the design to the right, I used a Victorian crown molding on the wall of the dining area. -A Million Extras: There are so many extra features, too, like light flares, people, and even shadows! And that isn’t even close to everything! There is so much more, so you have to check it out! 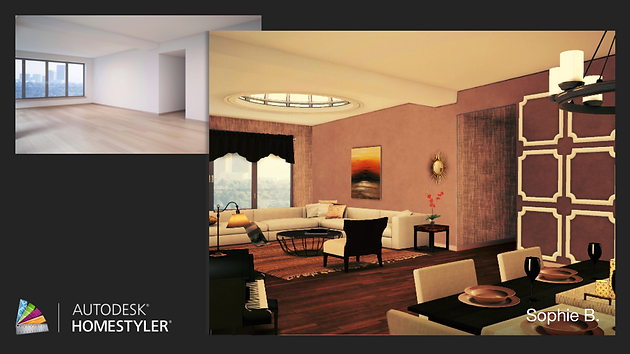 Go to the App Store and get Autodesk Homestyler and explore your design style!